Ringo Starr reveals never-before-seen photographs and mementos from his archives, sharing memories of his childhood, The Beatles and beyond with original text, audio and video descriptions. 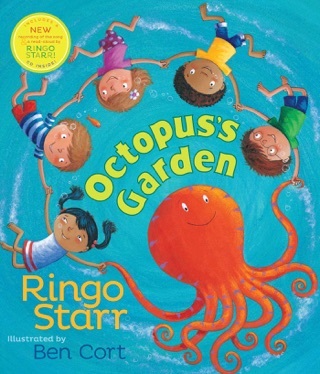 See Ringo growing up in Liverpool amidst the excitement of the emerging Merseybeat scene, as he remembers his time in hospital, his first car, drum-kits, girls and bands on his ‘road of happy drumming’. 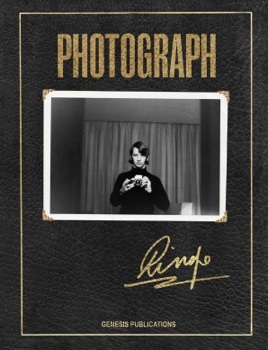 Ringo’s lens captures his Beatles bandmates in pensive and playful moments, portraying them from the point of view of an insider, friend and skilled photographer. From Pwllheli to Delhi, obscurity to superstardom, his travels are recounted with honesty and hilarity. 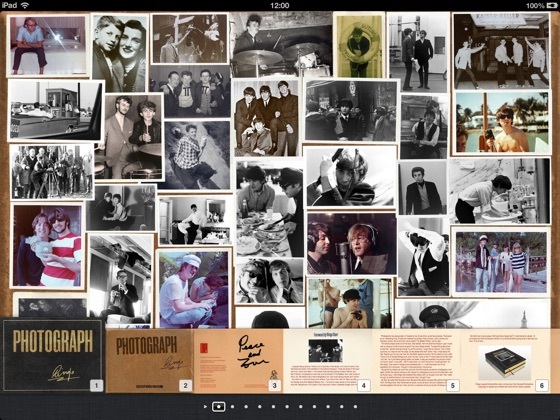 The multi-touch edition allows readers to pick up, play with and zoom in on Ringo’s photographs as they scroll through his memories. 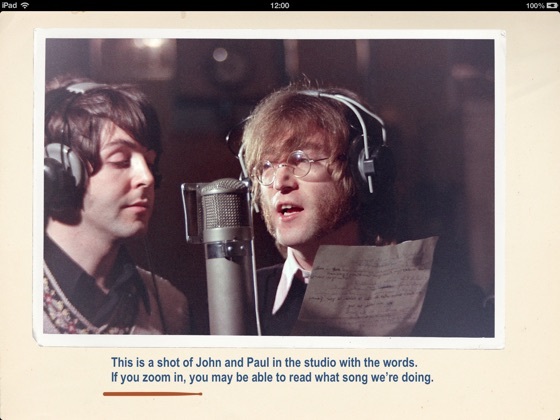 Photograph features 69 audio stories and 11 exclusive videos, with music, animation and new interviews from Ringo Starr. 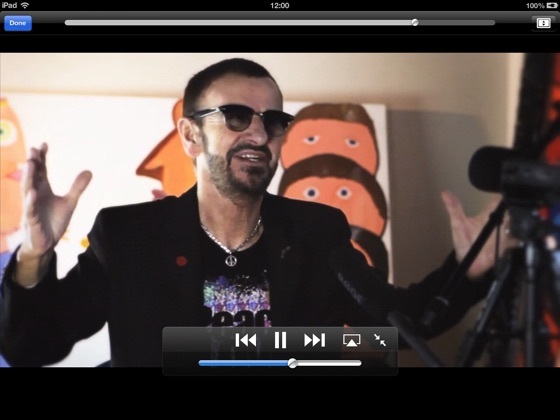 Ringo’s first multimedia edition is a must-have for fans of The Beatles and anyone passionate about modern music. I was just hoping this would be available on iPhones.. I do not own an iPad and I'd REALLY like to read this.. Wow!! I've seen a lot of Genesis books and their work is constantly pushing the boundaries of publications. The way they are able to bring together the artistry of what they have produced for decades and the contemporary style of publishing as they continue to grow and evolve is wonderful. 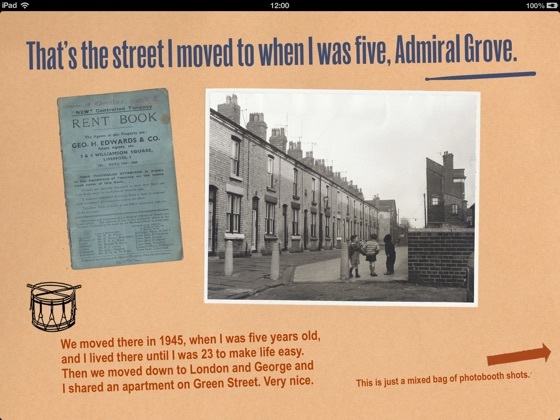 With "Photograph", their first e-book, they have done it again. Though the number of their Beatles publications are rich, they are all unique. It's so amazing to see the experience of being in one of the most prolific bands from Ringo's perspective. 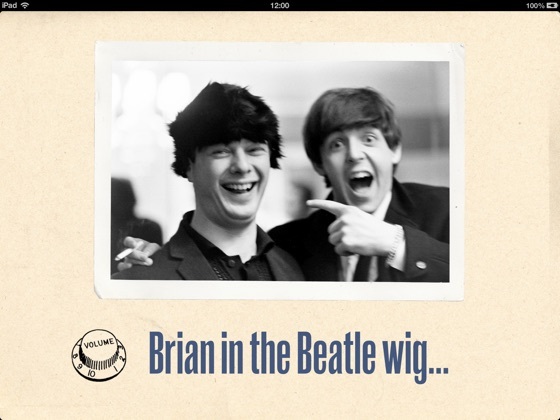 If you're a Beatles fan, you'll be pleased by this gem. And if you're a devout Genesis Publications lover, or a new convert, this e-book offers the quality you've come to know in a new a surprising format. Why are we punished for not getting ipad. Please get for iphone. Thanks.